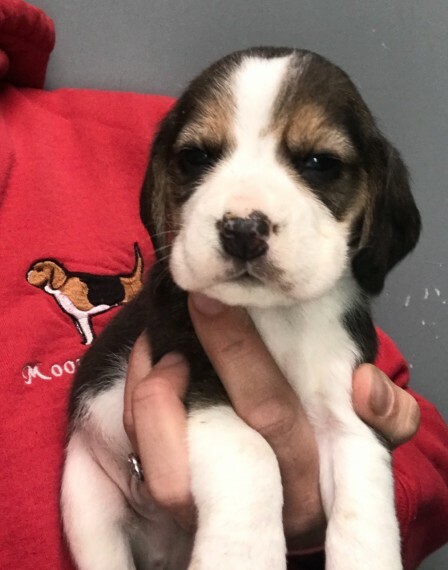 Champion show line bred tri coloured beagle puppies available. Both mum and dad are here to meet. All puppies will leave with the following. KC registration Health tested 1st vaccinations Vet check Microchip 4 weeks insurance Puppy pack Diet sheet.food Wormed.deflead to date Scent blanket Group Moonjoon beagle walks and get togethers Online owners support group Lifetime support and guidance Our litter will be ready to view from the 4th of May onwards. They can leave for their forever homes from the 25th of May. Genuine enquiries welcomed.